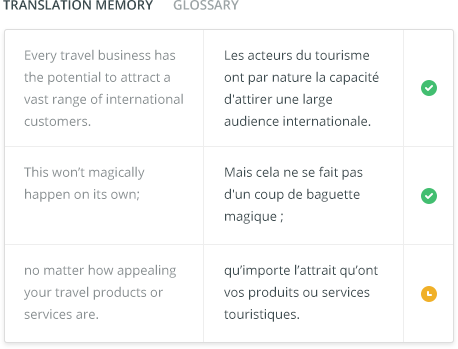 You simply import the content to be translated into GlobalTMS and choose your target languages. TextMaster will take care of the rest including an automatic word count, an immediate estimate, the selection of the best translator, and the supervision of your project by a project manager. Everything is under control to ensure quick delivery of a high-quality translation. GlobalTMS centralises all your projects, tracking them in real time and maintaining a complete history. You will therefore have complete visibility. Access advanced dashboards and personalised reports to better manage your timelines and budgets. 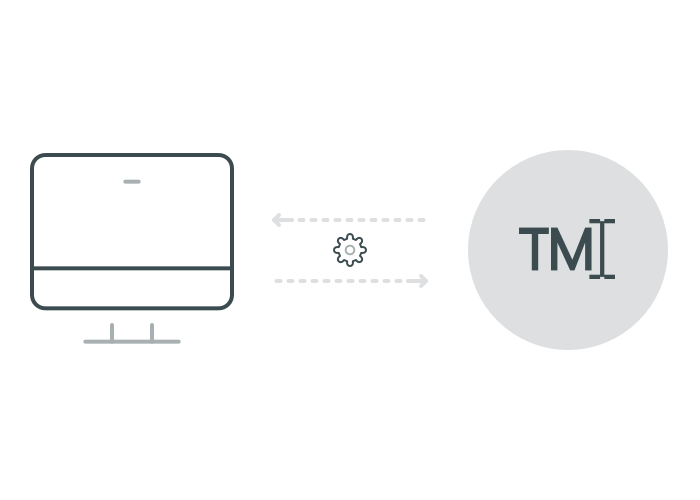 Avoid doing manual tasks, free up your teams and accelerate the delivery of your projects, thanks to GlobalTMS, the translation management (TMS) solution. 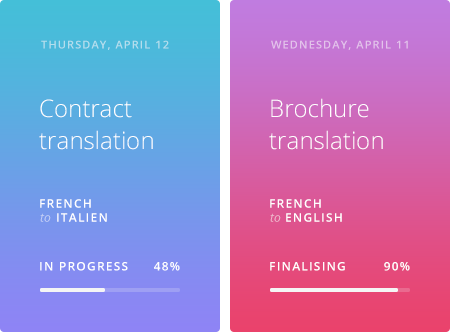 Benefit from advanced functionality to automate your translation processes as much as possible: project templates, pre-filled briefs, automatic workflows, etc. Keep using your favourite translators and build a long-lasting relationship with them. They will become conversant with your style, your vocabulary and your brand tone. You can also communicate directly with your translators via TextMaster’s integrated messaging system in order to give them instructions or answer their questions. Would you like to try GlobalTMS? Real-time translation memory, interactive glossaries, HTML tag segmentation, complex file processing, and the proofreading of automatic translation. Above all, TextMaster provides a cutting-edge technology solution. Choose and activate the technologies that are most relevant for each one of your projects, directly from GlobalTMS. Watch as your translation costs and delivery costs are dramatically reduced. Personalise your GlobalTMS interface according to your needs and get a bespoke management software. 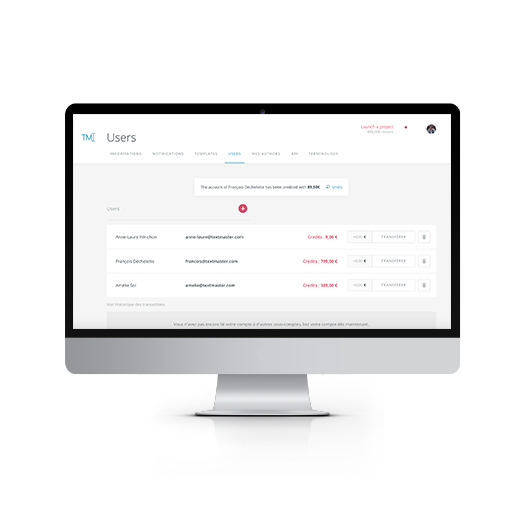 Create sub-accounts for your colleagues and manage associated rights in just a few clicks. 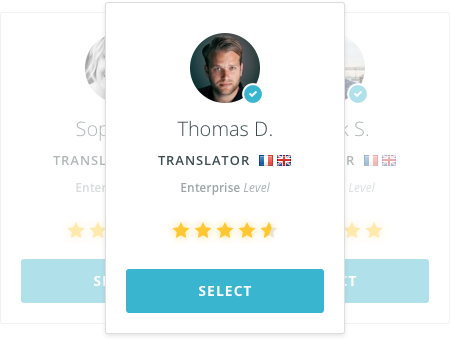 Centralise your translation memories and the glossaries you have previously approved. Take advantage of the translations that have already been done and maintain a consistent brand image. You control your terminology and can edit it whenever you want. 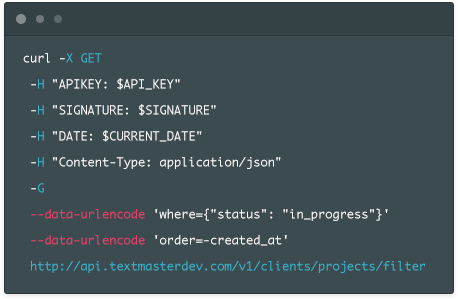 Access our API and our third-party integrations in order to automate your translation flow. Benefit from all of TextMaster’s functionalities directly from your own system: automatically send and receive content, select options, choose translators, etc. The benefits of GlobalTMS, TextMaster's translation management system. Do You Have a Translation Project ?